Life is stressful. Especially if you’re a mum. And a working mum? Forget about it. I know. I get it, because I’m a mum of two. A working mum of two. An entrepreneurial working mum of two. I understand where you’re at right now because I’ve been through hell and back, (you can read my story here) and I’m still trying to juggle it all. That’s why I’m here to help. Your life CAN be calmer. You CAN stop snapping at your kids. You CAN sleep better and wake more refreshed. You CAN lose that stubborn weight that won’t seem to budge. 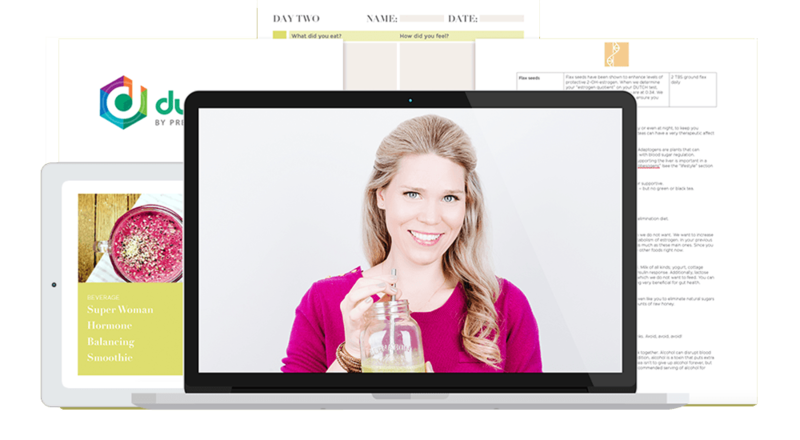 You CAN eliminate your PMS, crush those sugar cravings, regain your energy…. And so much more when you have the right plan and support. I can help you achieve all the above by providing evidence-based functional nutrition and lifestyle strategies combined with constant motivation and encouragement as well as specific testing. My goal is to help busy mums feel less overwhelmed and to enjoy life more by optimizing their hormones, improving gut health and implementing stress management techniques and self care rituals that so often fall by the wayside due to demanding life schedules. Tara has genuinely CHANGED my life… monumentally. She has improved so many things I suffer from and got me feeling the happiness and healthiest I ever have. She’s amazing. She’s incredibly, incredibly thorough. She did an extensive medical history for me, she looks at all your vitamin deficiencies, looks for hints of underlying problems. I did a really extensive survey with her and it had very specific questions about things that I wouldn’t even think were related to nutrition. She discovered issues that nutritionists in the past were incapable of finding. She’s also incredibly focused on women’s health, adrenal burnout, how tired and over-stressed and overworked we are – especially postpartum. She genuinely saved my life, as far as I’m concerned. Because she focuses on women’s health, and hormones and postpartum, the work she did developing a plan for me completely balanced my blood sugar, my mood, and my hormones. My skin cleared, I lost weight, I felt more energy than I’ve ever felt in my life. I stopped having cravings, I stopped getting sick, and I stopped having the feeling of overwhelm every single day at 4pm. I stopped snapping at my husband and my daughter and I started sleeping better. I think the most pivotal thing that I can’t actually confirm is related, is that it was much easier for me to get pregnant the second time around after seeing her. I do believe this had to do with the changes I have made. I have PCOS. With my first it took me five years, and although there are four years between my children, a couple of those years were prep. I also really, really like that she’s a mother herself who experienced adrenal burnout. No longer can we blame our genes entirely for our health outcomes. What we have learned since the human genome was mapped in 2003 is that “genetics load the gun but diet and lifestyle pull the trigger”. This is actually very exciting because it puts the power back into our hands and gives us more control when it comes to our health. Diet and lifestyle is what I help to optimize in my clients to give them the best chance possible of preventing and treating disease. I have extensive training from The Canadian School of Natural Nutrition, the Institute for Functional Medicine, the Seeking Health Organization, and more. 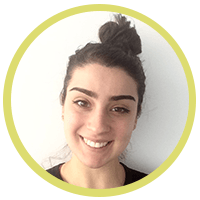 I’m a Registered Nutritionist, a Certified Functional Nutrition Coach, and I’m currently training to become a Functional Diagnostic Nutrition Practitioner. In addition to this, I constantly keep my finger on the pulse of the latest news and research in the health industry by way of courses, webinars, books and conferences. You can read my professional bio here. The way I work is rooted in a functional nutrition approach. I look at the body systemically to deduce what’s going on and why. This means getting to the root cause of the problem so we can find the best solution. No two women are alike. We are all biochemically and genetically different, hence an individualised approach is needed for health. 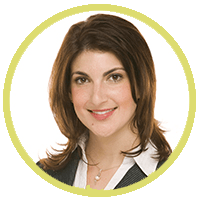 I generate personalised protocols in order for you to see lasting and sustainable results. I never use a “one size fits all” approach to health because they simply do not work. I have deep knowledge and understanding about the things that fundamentally affect our health such as detoxification, biotransformation, digestion and gut health, hormones and endocrinology, neurology, functional foods, therapeutic supplements, methylation, and more. I use the motto: test don’t guess! Without the proper testing we are simply guessing as to what’s going on with your health. By using some of the best tests in the functional health space I am able to enhance your protocol and take your health to the next level. I hold you accountable and am by your side every step of the way because I understand that it’s not always easy making diet and lifestyle changes. I constantly motivate you to keep going with the end goal of optimal health in mind. There’s no one better to help you on this journey because I’ve been there and I’m very much still there: trying to balance work, mummy-duties, and wife-duties all the while trying not to burn myself out again. I do what I do because so many women are needlessly suffering from poor health, exhaustion, or uncontrollable moods that are affecting their relationships and day to day life, not knowing there is a solution. Not knowing they can reclaim their energy to play with their kids again, take back control of their moods instead of their moods controlling them, and look better and feel more confident than they have in years. I want women to know there is hope! Life can be better and I give my clients the nutrition and lifestyle tools they need in order to be the healthiest they can be in a world that’s often not too conducive to helping us stay healthy. The only way I work with women is in a committed working relationship. What does this mean? It means I am committed to you and I will do everything in my power to help you overcome your current health concerns. Likewise, you are committed to the process and what needs to be done in order for us to give it our best shot at getting to the bottom of what’s going on with your health. This involves you trusting me and my thousands of hours of education and clinical experience that has allowed me to determine the best way to work with clients in order to see results. This is why I offer three month one-on-one functional health packages for my private clients that include either both a DUTCH hormone panel and a GI Map stool test or just a GI Map stool test.The reason I insist my clients run either both these tests or just the GI Map is because it gives us the full picture about what’s going on with their health, (if you think you have a hormone problem that might be true, but if you do have a hormone problem – reflected on a DUTCH test – then you have a gut problem, so we need to run a GI Map as well – everyone must run a GI Map). These tests help me to create the most effective, therapeutic, and targeted plan possible for your health goals. 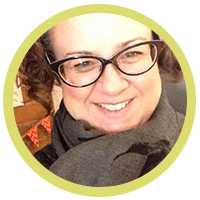 Here’s what I offer my private one-on-one clients: In my online health membership, The Healthy Mama Hive, I give my Healthy Mamas a steep discount on my one-on-one’s. You can find out more about The Healthy Mama Hive here. I also offer preconception packages for those wishing to conceive a baby to ensure their baby can be the healthiest it can be and they can have a healthy pregnancy and postpartum period. Additionally I offer one hour consultations for those who want some quick but brief direction about how to proceed in their health journey where I can briefly look at test results such as the DUTCH test. Two deep-dive one-hour Skype consultations with me. In the first one we go over all your current symptoms and health conditions, your family medical history, your goals, medications and supplements you’re currently taking, previous treatments you’ve tried, and so much more so I can collect all the information I need to make informative decisions about your health plan. The second one is a protocol consultation once I’ve developed your plan. A DUTCH test and/or a GI Map (depending on which package you choose) are included in this program as well as my time to interpret your results and develop a therapeutic and targeted personalised plan for your health that includes diet, lifestyle, and supplement recommendations. This plan may include handouts and further information to support why I’m asking you to take a certain supplement or eat a certain way. Blood chemistry analysis. Upon agreeing to work together, I will ask you to get certain blood work done, (or send me recent (no more than 4 months old) blood work. Once I have these labs I will analyze them based on functional blood chemistry ranges and use these results to influence your personalised health plan. Follow up consultations In my 3 month package you receive 2 x 30 minute follow up consultations available to use at your discretion in order to keep you on track, moving forward, and supported. We will also use these sessions to analyze any symptom changes that are occurring and potentially tweak your health plan if needed for whatever reason. These follow ups are also times when we will discuss any major protocol changes. Often we run 60 day protocols based on the results of your GI Map. The “worst case scenario” is you would have to run 4 x 60 day protocols to eradicate all the bugs we find on a GI Map that are inhibiting optimal health – a reminder that health is a long-game: a marathon and not a sprint. Time dedicated to your case beyond the consults we do together for the duration of the three month package. This includes time spent reviewing and researching your case, time and fees associated with talking to mentors and colleagues in the industry about your case, reviewing any new blood work you may get done or additional labs, email support and emailing any summaries from our consults or work required after our consults, (such as investigating a potential supplement, purchasing and drop shipping supplements to you if need be, etc), and administrative work related to your case. Access to professional grade supplements (only available via a health practitioner). *Please note: the cost of my packages does not include the cost of supplements. Supplements will be a part of your protocol and they can run into the hundreds, depending on what we find on your tests and your current health state. You must be prepared to purchase these supplements in order to adhere to the protocol I provide for you. Handouts based on your protocol I will probably give you handouts that support you on our health journey such as diet guidelines and recipes so you’re not left wondering what you should be eating or cooking and taking the stress out of you having to figure this all out on your own. Unlimited email support for the duration of your package. We do our first 1 hour consult over Skype together and run through your in-depth intake forms. I will then get your tests off to you and you will complete them ASAP and send them back to the lab, (don’t worry, I guide you through this entire process). It takes about 7 – 10 days for the labs to turn around your samples once they arrive at the lab. Once I have your results I will develop your protocol and send it to you, along with your test results. Once you have your protocol you book in for your next 1 hour Skype consult with me in which we go over all your results and the health plan I have developed for you and you get the chance to ask me any questions. In the second month you will have started your plan and may have questions for me as you go along, which we can address over email or via a follow up 30 min Skype consultation, (it’s up to you to book in for your follow ups, I can’t be held accountable for following you up for these sessions). During this month you are learning how to do your protocol and you may see symptom improvement. In the third month you should be well and truly humming with your treatment plan but new symptoms may arise, (perfectly normal as the body clears stuff out) or you may find symptoms start to disappear at this point. During your 30 min Skype follow up consultations we can tweak your plan if need be. I’ll guide and support you and give you motivation, and if you are on a specific gut protocol then by the end of the third month you may be switching to a new part of the gut healing protocol. You now get an opportunity to extend to the six month plan, if we still have more work to do, (this is common) and potentially re-order some tests if need be. This is not mandatory, and re-test fees are not included in the total fee, but for a GI Map at least, if things pop up and you are working on a protocol to resolve and eradicate those things, a re-test is very highly recommended. If you’re not continuing working with me then in this third month we will review everything we have done including what symptoms have improved and what you wish to see happen for your health moving forward. I also offer one hour consultations for those who just want some quick direction on their health. One hour Zoom consultation with Tara in which Tara will review a brief intake form you will have filled out and *briefly* run over any pertinent labs you may have done, (such as a DUTCH test, GI Map, or blood work). Tara will make verbal recommendations only during this time and not give a thorough protocol, rather, suggestions for the next step(s) for your health, (such as testing, a specific type of diet that may be beneficial, potentially some supplements that you can consider). However, these are only basic suggestions, no in-depth, personalized protocol will be given. I started seeing Tara when I was in a pretty deep depression. It was the main reason for seeking out her help – Yes, I was diagnosed with type 2 diabetes, but controlling blood sugar and losing a few pounds were prioritized behind stabilizing my moods. The effects of changing my diet were immediate and astounding. I dealt with a particularly stressful time at work with grace that amazed me. I’m not going to lie – it was tough. I really truly love a lot of things that I shouldn’t eat! But I saw how much better I truly felt when I avoided sugar, gluten and dairy. My energy increased. My depression and anxiety decreased. My tolerance for stress grew, as she gave me tools to deal with it. Tara is a rare mix of just enough kindness and just enough toughness. She really understood when I faltered but she had high expectations that motivated me to follow the plan! I am writing this about two months after finishing and I can tell you that the knowledge and tools she gave me will be mine for life. I described it to a friend recently like this: the pendulum was far far to the extreme right, then with her help it swung way over to the far left. As soon as I was not accountable to her directly, I let it slide back toward the other side, and man, did I feel it!! So now, the pendulum has settled halfway left of centre and I am so happy with that. I accept that I can’t eat or live perfectly all the time but I am committed to maintaining the majority of the lifestyle changes she has taught me. The lasting effect is that my inner voice now has an awesome Australian accent! Email me to find out more about my one-on-one consultations or to book your free, 15 minute Skype or FaceTime consultation. 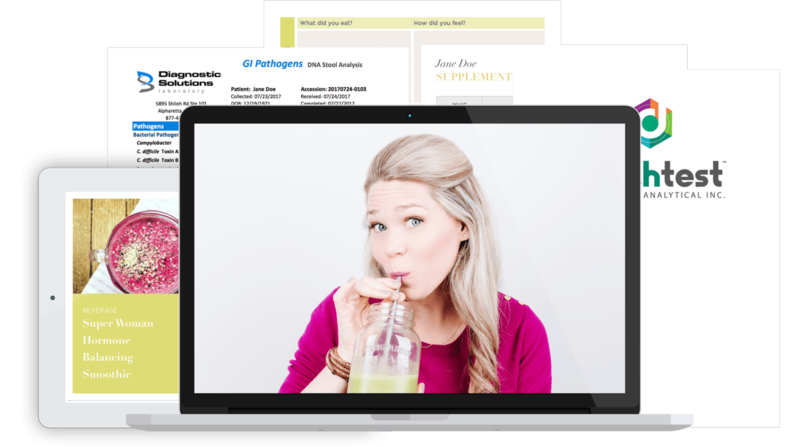 Get my FREE guide to Healthy Gut. No matter what your health symptom or condition, you MUST work on your gut. 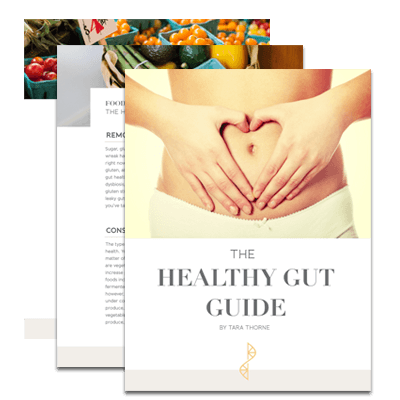 In this free ebook Tara Thorne, Functional Nutritionist, guides you through the top things you need to be thinking about when it comes to optimizing your gut health. Copyright © 2018 Tara Thorne Nutrition. All rights reserved.